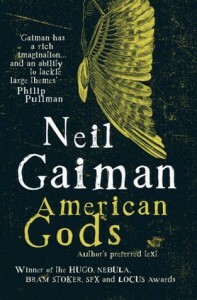 Considering who Gaiman is, I decided to give him another try. I wasn’t such a fan of Ocean, but American Gods seemed like a deeper story and something I could appreciate. I’m glad I went with it, because it was amazing. This is the type of book that you can find something new with each reading. The fact that a Brit could land on our shores and so perfectly capture the spirit of America is astounding. The story is magical and the writing near perfect—to the point where it made me feel inadequate as a writer (and that’s a good thing). Gaimain’s research, passion, and creativity shine through from cover-to-cover. Perfection isn’t without its faults. There were a few parts, or side stories, that were tied to ancient mythology. I didn’t understand how some of these stories tied into the main story, but this could be due to my own lack of knowledge on the subject or something that would make more sense in a second reading. Overall, there are many things that I can look back at and appreciate: Lots of deep meaning; lots of good story.